Quick reactions to some comics I've read lately. Haven't done one of these in a long, long time and figured it was time to get back in the saddle. Here we go. For the record, this ad? Does not describe this book accurately AT ALL. And that's good. 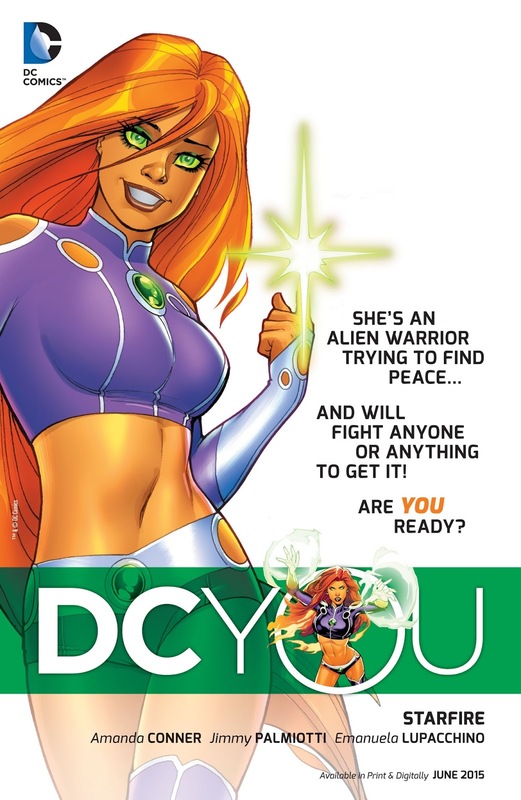 Starfire #1 - Wasn't planning on picking this up, but the involvement of Jimmy Palmiotti and Amanda Conner (and especially Conner's eye-catching cover) earned it a look. 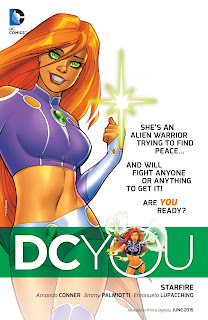 The only version of Starfire I've ever been a fan of was the one from the Teen Titans cartoon, and there's a lot of her here... happy, loving, upbeat, empathic, and naive, but at the same time she retains a lot of the freedom and openness to new experiences (emotional and physical) that the original comics version did. And thankfully, there's none of the emotionless creepy-dude-fantasy sexbot version that we saw at the start of the New 52. 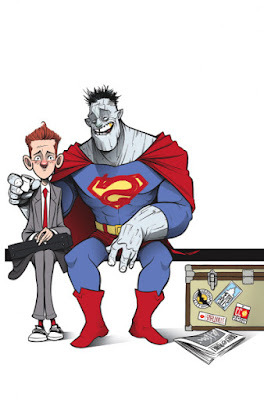 There's an interesting cast of supporting characters in the making here (Sheriff Stella seems particularly cool and well-rounded), Key West is a unique setting for a superhero book, and if we can't get Conner as the regular penciler than Emanuela Lupacchino shows she'll more than suffice in the role. Verdict: An extremely pleasant surprise. Buy the hell out of this, folks. Constantine the Hellblazer #1 - I've never read many comics with John Constantine in them besides maybe his Books of Magic guest appearances because I've never been a big horror guy, but Ming Doyle is a creator whose work I find interesting (and it has been fun to watch her star rise these past few years) so I gave this a shot and though still not entirely my cuppa I did enjoy it. I liked how it the story mixed the horror / Vertigo tropes with a good scam story (which I know is Constantine's whole deal but, hey, it's new to me) and it was fun to watch events build toward the pay-off. Riley Rossmo's art was perfectly suited, equally fun and dark in an expressive manner that called to mind Jack Davis, Tom Fowler, and Sonny Liew. But what I appreciated most was that it told a satisfying one-and-done story that also managed to set the wheels in motion for a larger story, which is exactly what I want out of a first issue. Verdict: Probably won't follow monthly but I'm likely to check back in when it's collected. Not the cover for #1 but a pretty accurate representation of the book just the same. Bizarro #1 - Jimmy Olsen takes Bizarro on a road trip to get him out of Metropolis. 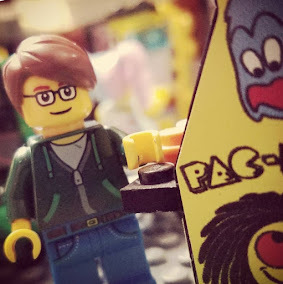 Antics ensue. You already know whether or not this is for you based on that description. As for myself, it's basically that someone reached into my brain and pulled out what is pretty much my perfect comic book. Verdict: Why isn't this every comic book? Verdict: Curious to see how it plays out but will wait for the trade, where I feel it will read much better.